Towing capacity is the maximum trailer weight including its cargo weight that your vehicle can tow. Do not overload the vehicle as there is a limit to the total weight, or load limit, including occupants and cargo, the vehicle can carry. Overloading can shorten the life of the vehicle. If the GVWR or the GAWR is exceeded, parts on the vehicle can break, and it can change the handling of your vehicle. These could cause you to lose control and result in an accident. 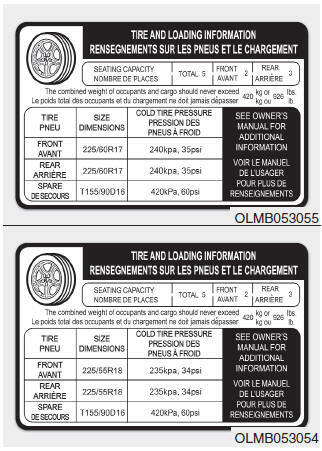 The certification label is located on the driver's door sill at the center pillar and shows the maximum allowable weight of the fully loaded vehicle. This is called the GVWR (Gross Vehicle Weight Rating). The GVWR includes the weight of the vehicle, all occupants, fuel and cargo. 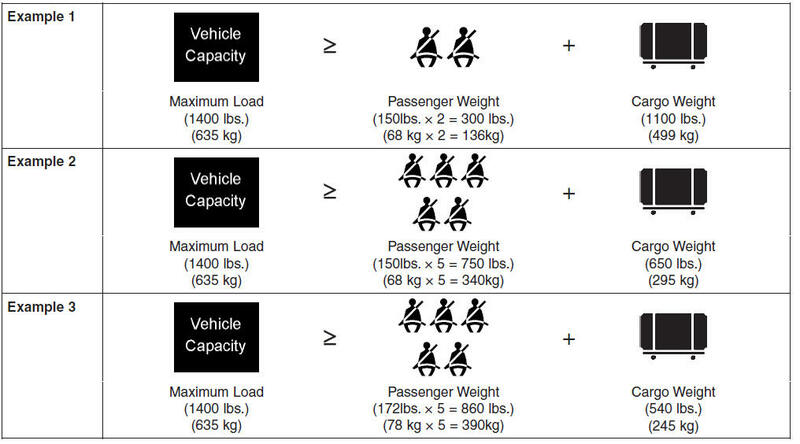 The total weight of the vehicle, including all occupants, accessories, cargo, and trailer tongue load must not exceed the Gross Vehicle Weight Rating (GVWR) or the Gross Axle Weight Rating (GAWR). To find out the actual loads on your front and rear axles, you need to go to a weigh station and weigh your vehicle. Be sure to spread out your load equally on both sides of the centerline. If you carry items inside your vehicle (e.g., suitcases, tools, packages, or anything else), they are moving as fast as the vehicle. If you have to stop or turn quickly, or if there is a crash, the items will keep going and can cause an injury if they strike the driver or a passenger. Do not stack items, like suitcases, inside the vehicle above the tops of the seats.